HA NOI — Thai League 1 side Nakhon Ratchasima islooking to sign Vietnamese players Nguyen Anh Duc and Phan Van Duc after watching their brilliant performances at the ongoing AFF Cup. 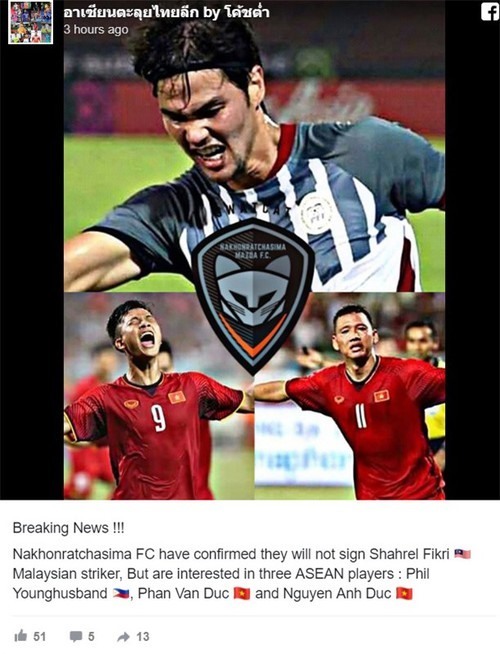 The Thai club previously planned to sign Malaysian striker Shahrel Fikri but decided to go after the Vietnamese players and Philippines captain Phil Younghusband. Striker Nguyen Anh Duc, 23, has scored three times for Viet Nam in the tournament so far, as well as providing assists for his teammates. He is now captain of three-time champions Becamex Binh Duong. A screen grab shows news of Nakhon Ratchasima’s interest in Vietnamese players. Midfielder Phan Van Duc, 22, has caught the eye with his skillful technique and two goals. 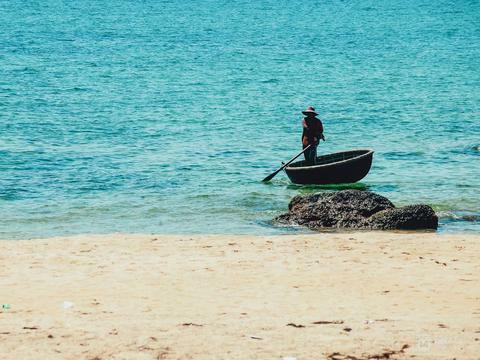 He currently plays for Song Lam Nghe An. Both have been key players for Viet Nam in recent tournaments. Next season, each club in Thai League 1 will be allowed to signed three ASEAN players.